June | 2015 | Namaste to you, Sir! You are just one click away from a free book! It’s been a while since my last post, but here I am and with great news. 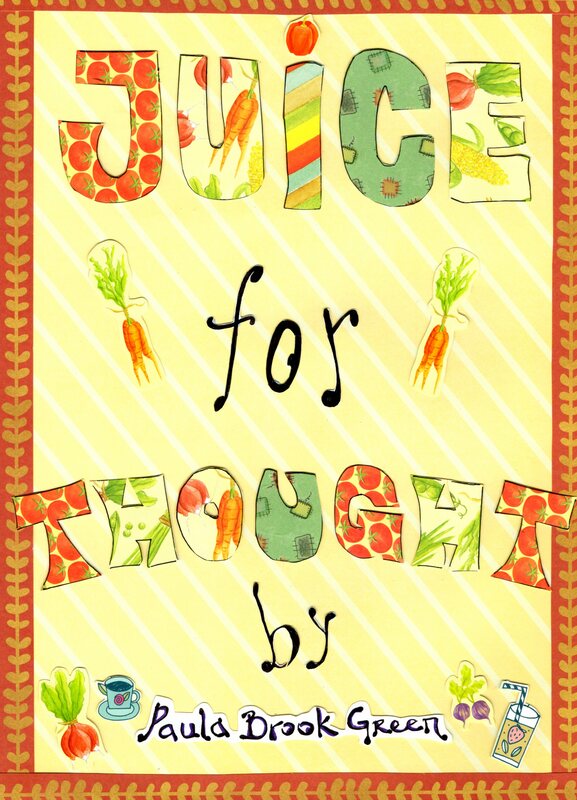 Finally I can post my last book, “Juice for Thought”, which I had to remove from Amazon because it didn’t convert well to their ebook format (too many photos and drawings, I guess) so that anyone interested can download it for free. Yes free, and no, you do not have to subscribe to the blog or do anything at all. The book has easy to follow, tasty recipes that you can make every day. Drinking fresh juice is an easy way to have some of your 5-a-day almost without noticing it, and a great way to start your morning and boost your immune system. Ps. You can find my other books on Amazon: Holistic Decluttering, 3 Great Practises that will change your life and What is the Law of Attraction? 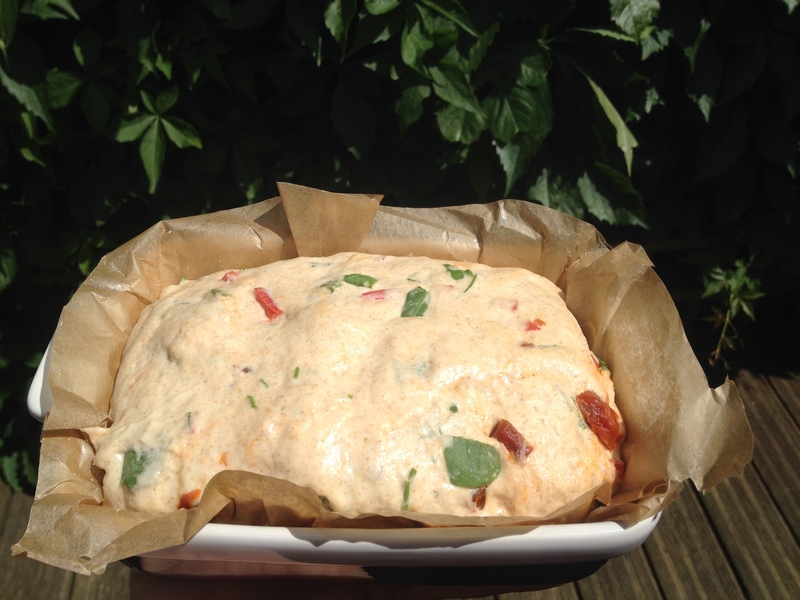 Chorizo, spinach and red pepper bread. I’m pretending it’s Summer here, even though the wind and the dark clouds are saying otherwise. I wish Summer will hurry and just arrive, but I guess seasons, as everything else in nature, only arrive when they are meant to. 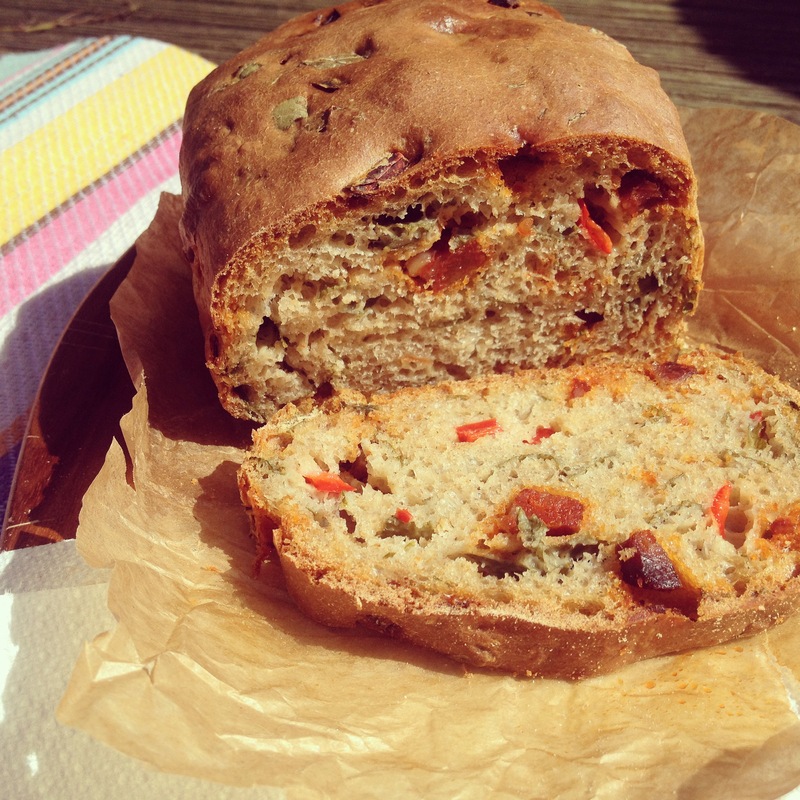 This bread could be a meal in itself, and works great toasted, as a side to a salad or soup. There is almost no kneading involved, and it smells so good once it is in the oven, you won’t believe it! 30 g chorizo, chopped. It has to be a cooked chorizo, not one that requires for you to cook it first, other than that, you can choose almost any one. I used one that was a bit soft but very flavoursome, with some smokiness to it. 1/2 of a red Ramiro pepper, chopped and sautéed for a few minutes. Let it cool down before using. 1.- Mix the yeast with the lukewarm water and let it rest until it froths. Spelt flour is a little lower in gluten than wheat flour, and its gluten strands are shorter, therefore kneading too much can break the delicate gluten structure which will result in a tough or flat bread. 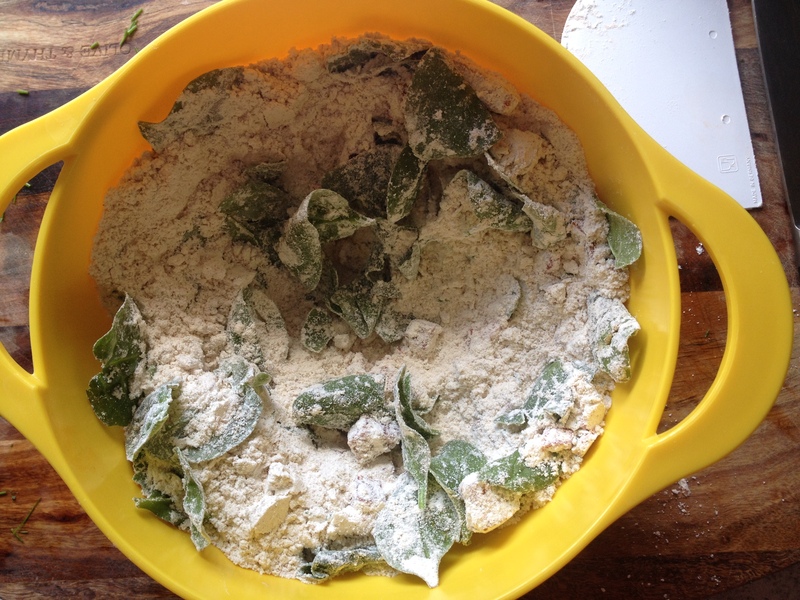 4.- Leave the dough in a bowl covered with film or a plastic bag to double in size. 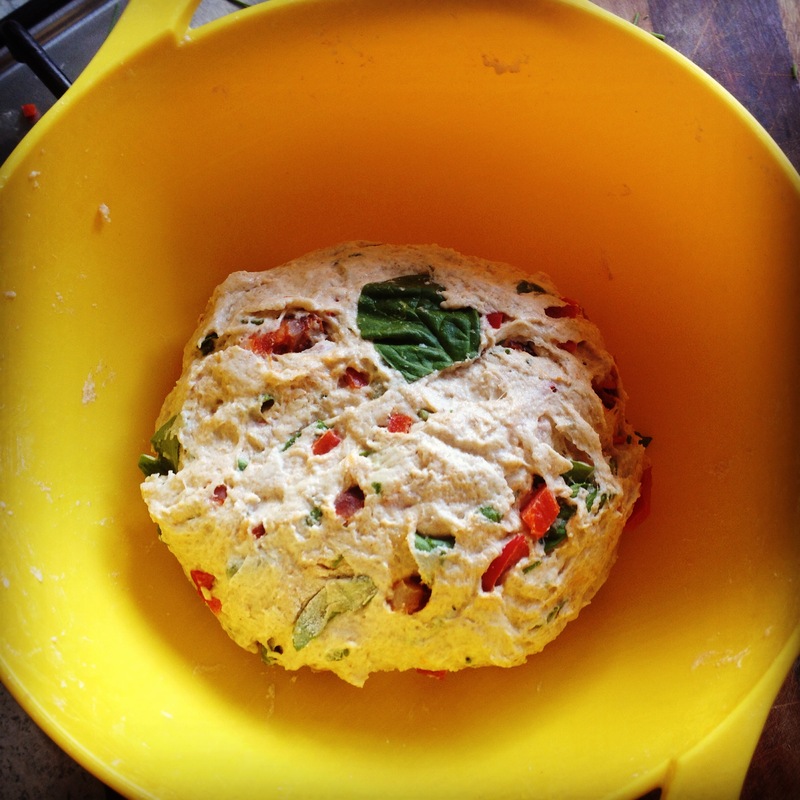 5.- When the dough is ready, turn it out onto a floured surface. Degas and flatten. Then shape into a log and place in a loaf tin. 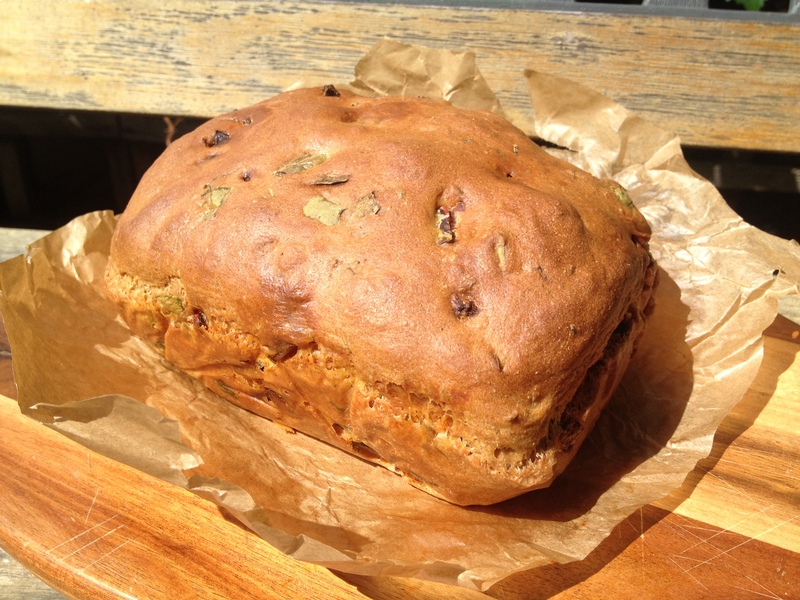 Keep in mind that spelt breads tend to spread to the sides rather than rise, so a bread tin will help it keep its shape more than a baking tray will, but you can still make this bread if you don’t have a baking tin. 7.- Place in a preheated oven at 180 C (fan oven) for 45-55 minutes. It will come out golden and with a lovely crust.